What was the greatest prepper lesson learned in 2017? I called it the year of the prepper and it will go down as one of the more disaster ridden and memorable years in a long time. There is a lot to pick apart that pertains to disaster preparedness in 2017. Still I think it warrants our time and will be worth it in the long run. Listen to this broadcast or download “Modern Combat and Survival” in this player! Now, I have taken on tall orders in the past but this requires more than just my attention. I think to properly pull apart the events in 2017 we should call on the help of a 10 year elite infantry military vet who has traveled the world and seen its worst. Luckily, we have just that in Jeff Anderson from the website… Modern Combat and Survival. As a lifelong student of what he calls “survival arts”, it was Jeff Anderson’s military training that led him to seek out strategies that would protect not only himself on the battlefield. But also provide for his family’s own self-reliance in any sort of disaster, crisis, or collapse. In Jeff’s survival training, it was his service overseas and in combat missions. He was able to get a first-hand glimpse of what a city gripped in collapse and without rule of law is like for its citizens. 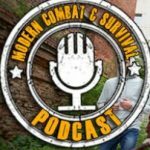 He uses his unique experience to inject a more realistic view of what to expect in survival scenarios and provide practical solutions. Even in extreme environments – for true survivalists. Ultimately his training and experience led him to create the digital media channel for Modern Combat And Survival magazine. The magazine is fueled by more than 100 of the world’s top instructors in law enforcement, military, and civilian survival schools. Join us for this program as we pick apart 2017 and look for prepper lessons learned from things like the civil unrest, hurricanes, shootings and of course the government response to these things. Previous: Previous post: Health and Preparedness! Next: Next post: Prospering Outdoors and the discount!